It’s a jungle out there! It seems like every time we turn on the radio or look at the news, there’s a story about another school shooting or a crazy bathroom law that was passed. Or they come up with some sort of goofy new common core way for kids to solve math problems. With all of the bizarre stuff going on in our world, it’s no wonder that more and more parents are choosing to check their kids out of the public school system and to give homeschooling a try. It can be a very scary feeling to think that you will be bucking the system with your child’s education. Believe me, I’ve been there! When my boys were toddlers, our house was located in a larger city school district with a pretty crummy reputation. My husband and I knew that God had called me to quit my job when we had our boys but our plan had always been for me to go back to work once they were in school. As my oldest son approached his second birthday, however, we realized there was NO WAY we felt comfortable having him attend the public schools in our area and we wouldn’t be able to afford Christian school unless I were to go back to work right away. At that point in our thinking, God started bringing homeschooling in front of us. Homeschooling wasn’t something with which we were familiar at all. We didn’t know any homeschoolers. We didn’t have any desire to be homeschoolers. We didn’t even truly understand homeschoolers. Slowly but surely, the thoughts came and we investigated various methods of educating our boys at home. I was so unsure about the whole thing that I actually started doing preschool with our oldest son when he was two years old just to see if it was something I could actually handle. Flash forward 15 years and we’re now avid homeschoolers. We love the lifestyle that homeschooling allows us to have and we can’t imagine our lives any other way. We’ve learned so many things on this unexpected journey which God started us upon all those years ago. If I could go back to the beginning and do it all over again, however, there are several things that I would do differently. When I was a kid, I attended public school all the way through so that is the type of education with which I was familiar. 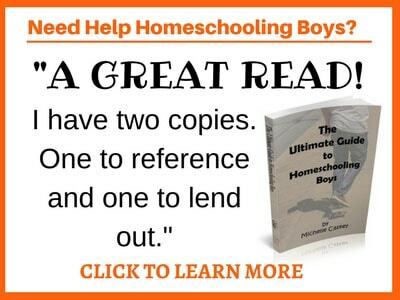 When we started homeschooling, I tried to set up the same type of environment for my boys. We created a dedicated school room. I bought them desks. I lined them up next to each other. I set up a pretend store with a toy cash register. I put up the A-B-C’s along the top edge of the walls. I bought a giant whiteboard and several tack boards so that I could make educational displays for my boys. Over time, however, I realized that it was way more comfortable to sit on the couch with a clipboard than it was to sit at a desk. It was also easier to spread out our math manipulatives all over the living room floor. And I found that if my boys were doing lessons at the dining room table I could get a load of dishes or laundry done while they were doing their handwriting. I also discovered that taking my boys to the grocery store with me was much more educational than having them “shop” in our pretend grocery store. Don’t feel like you need to set up a classroom which looks like a typical public school classroom. Learning which is integrated more into your lifestyle is even more effective than learning which is done in a specific room of your house or one individual part of your child’s life. When my boys were very young, I worked hard to create interesting hands-on lessons for them. When they hit kindergarten age, however, I felt that their learning now “counted” and it was important to hold them to a certain standard. 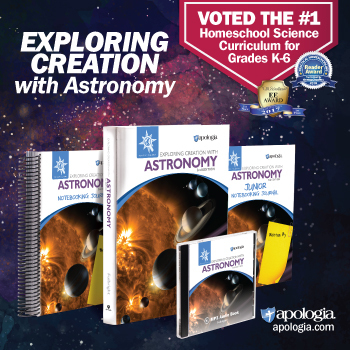 Worksheets and textbooks crept into our homeschooling more and more. Until one day, my boys started to rebel when I told them it was time for school. After struggling for a while to try to figure out why their attitudes had started to suffer, I began to realize that they weren’t the ones who had changed. I had. Instead of focusing on the fact that they were learning and enjoying the learning process, I started to be concerned that they were meeting certain arbitrary requirements for their grade level. I also wanted to be sure there was enough paperwork generated so that we had “evidence” that they were learning. My advice is to remember what’s truly important. Eliminate as many worksheets as possible. Replace textbooks with real books if you can. Talk to your child about what they’re learning rather than requiring them to answer written questions at the end of each chapter. Have your child continue working on various tasks until he masters them. But once he understands a concept, feel free to move on. In schools, tests are important because they are the only way that a teacher can determine what each student has learned. In homeschools, most tests are optional. If you are working with your kids closely throughout the day you will know exactly what they have and have not learned. Once your kids are old enough that they begin doing more independent learning, then you may want to throw a few more tests in there so you can make sure they are mastering each concept. But even then, don’t feel that you have to beat your kids up with test after test. Keep the love in learning! I’m a planner so I enjoy coming up with lesson plans and knowing exactly what my boys will be learning each week. Quite often, however, I’ll be trying to teach my boys about something and they will have questions about something else which is often completely unrelated. At that moment, I have a choice. I can defer their questions for later or we can momentarily set aside what we’re working on and we can find the information about which they are curious. There are also days when I have a full day of lessons planned out for my boys but their hearts just aren’t in it. It isn’t always appropriate to throw out the lessons and do something completely unexpected; however, there are times when that is the very best decision that you can make. We all get tired or have days when our hearts just aren’t in it. Be willing to embrace flexibility from time to time and your homeschool journey will be much more joyful. If your child were attending school, he would only have a certain amount of variation to the types of classes that he would take. For example, most third graders in public schools learn the same information no matter what type of kid they are or what type of career they may pursue someday. Even once students are in high school and they have some electives, they still by and large take the same classes as their peers. If they are headed for college, they take the college prep courses. If they are headed for a trade school, they might be fortunate to get a shop class or a drafting class thrown in there for good measure. Part of the beauty of homeschooling is that the sky’s the limit when it comes to selecting course material. Our kids can take regular classes like they would if they were in public school. Or, they can learn about whatever their hearts desire. If your child is crazy about horses and is interested in becoming a large animal veterinarian, his science class can be shaped around his experiences while he job shadows the local veterinarian versus simply reading a textbook about biology or chemistry. If your son is extremely interested in video games, you can sign him up for all sorts of computer classes which will teach him game design, programming, computer animation, and more. If you try to discover your child’s passions and work to shape at least some of their learning around these areas, you’ll find that he will learn so much more than if you are trying to always gets him to learn about things he doesn’t have any interest in. Imagine if someone walked up to you and told you that you were going to be required to learn about quantum physics next year, whether you were interested in it or not. Do you think you’d absorb a bunch of information and enjoy learning? Or might you do the bare minimum in order to get by and get it over with? So, why do we expect our kids to do any differently? Whenever you can allow your son to learn something by doing it, rather than reading about it, you will find that he will learn a lot more. Boys love to build stuff. They enjoy getting their hands dirty. And they’re usually very visual. Give your boys a project to complete versus a book to read and watch them excel. We have friends who are medical missionaries in Togo, West Africa and they are homeschooling their four boys. Their oldest son is 16 and he works alongside his father assisting him with surgeries. Their 14-year-old works in the hospital lab drawing blood and performing various tests on it. And their 12-year-old works in the pharmacy dispensing pills to the patients. These boys have learned so much more by standing side-by-side another adult and actually DOING the work than they would have if they had been handed a book about medicine. Try to give your boys opportunities to do a wide variety of things and see where they excel. There’s a lot more learning that kids need to do that just academics. If your child is the best student possible but he doesn’t know how to take care of himself, he isn’t going to get very far in life. Our boys need to learn how to manage a household. They need to know how to do yard work. They should be able to at least cook basic meals, do their laundry, and clean up after themselves. Don’t neglect to teach your kids the practical things in life! Don’t compare your kids to each other. We are all unique individuals and we have different strengths and weaknesses. Each of our children will learn things at different rates and that’s alright. One son may learn to read fluently when he’s 5 and the next may not ever be a great reader or he might catch on when he’s 12. In the same vein, all of our homeschools can and should look unique. God has each of us here for different reasons and our kids will require different preparation for their lives. Also, we are all unique teachers and we will go about presenting the same material to our kids in very different ways. Embrace your uniqueness! Enjoy the journey! And be sure to check out the other great Advice posts from other iHN bloggers at iHomeschool Network. Thanks for your words. They’ve come at exactly the right time for us – we’re just easing into homeschooling with our young’uns. This is great advice, thank you Michelle. Just today I decided to set aside our lessons and head off to a local bird sanctuary that is a favourite of my three sons. It is winter here in NZ and I decided to make the most of a sunny winters day and so glad we did. We have just been homeschooling since February after 6 years in school and we love it, such a blessing to our family. This is excellent. I’m not sure how much homeschooling I’ll be doing, but there’s some good points in here I pinned to save for later. Thanks for sharing your perspective! Thanks so much, Susan. Yeah, I have quite a few posts that are good for parenting as well. I’m glad you were able to find some helpful stuff! Thanks for stopping by! Great post! My wife and I will begin homeschooling our five-year-old daughter this fall. It is a little daunting to think about teaching our girls, but we have prayed about it and we believe God has laid out this path before us and our girls. We love that homeschooling can be customized to the child’s passions. I was also homeschooled from the 10th grade and I really enjoyed customizing my own curriculum. Thank you for sharing your wisdom.